Wed, 24-Apr-2019 - 18:59:57 ---- The fact: 42.844.000 visitors done. This article explains some basic principles of solid-state welder design that are crucial for maintaining operation under various conditions. The paper also presents several key differences between MOSFET and IGBT transistors, and describes how a converter with a voltagefed inverter and series resonant output circuit withstands short circuits. Tube and pipe manufacturing professionals know the best days are when nothing unexpected happens – when the line works as it should, delivering maximum uptime and throughput. And all of us also realise that the solid-state welder plays an absolutely critical role in achieving and maintaining maximum uptime. Maximum welder uptime requires more than attention to overall circuitry design. Close attention must also be paid to the reliability of each of the components, both in normal and demanding operating conditions. High reliability in steady-state operation is ensured by being in control of the power losses and cooling of the power transfer components. 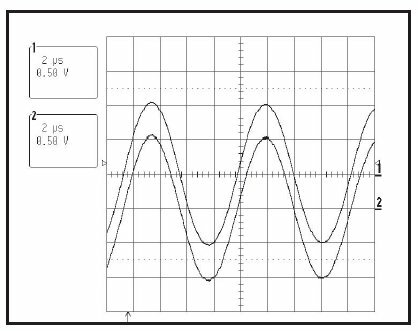 The design must also maintain required margins in relation to maximum component ratings for voltage, current and temperature. Finally, the welder must be able to operate as desired with extremes of water and ambient temperature. For many welders the loss of steady-state operating conditions is usually caused by a short circuit in the load. Arcing can occur between strip edges in the weld vee, between strip and induction coil, or between coil turns or terminals due to slivers and burrs in the weld zone. A welder’s ability to cope with short circuits in the load is, first of all, related to the inverter and the solid-state switches’ shortcircuit handling capability. The first part of this paper covers aspects to consider regarding the choice of transistors in the inverter of a welder for high-frequency tube and pipe welding. In the tube and pipe industry the output circuit of a welder is available as either a series or parallel resonant circuit. A widely held misconception is that a voltage-fed inverter with a series resonant circuit has inherent problems with short circuits in the load. This misconception stems from the mistaken belief that an arc across the coil causes a flow of high current. On the contrary, what happens is that the resonance point is shifted upwards in frequency. In a series resonant circuit with a high Q-factor, the impedance increases sharply when operating out of resonance and the current drops. The rest of this section explains the events that occur during a short circuit of the series resonant circuit. 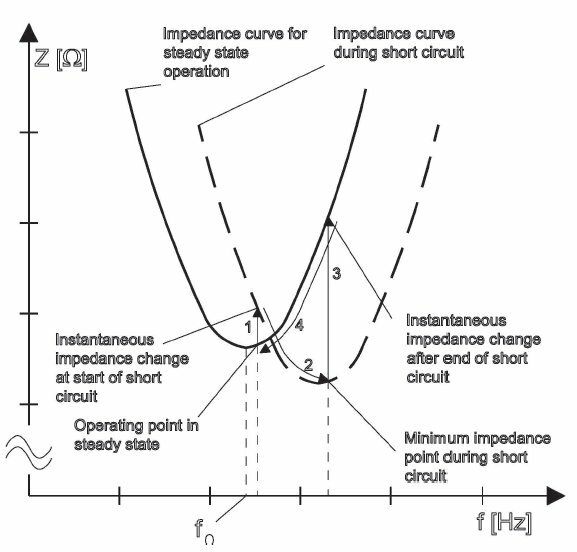 Figure 1 shows the impedance changes seen from the voltagefed inverter during a short circuit in the coil. 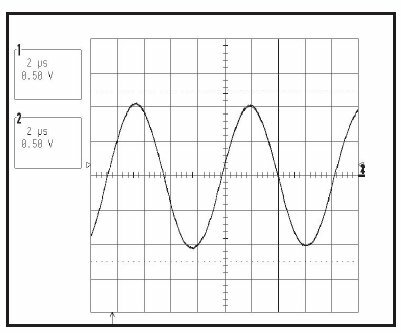 At the instant the arc occurs, the resonance frequency of the output circuit increases and the impedance curve moves up in frequency. The switching frequency of the inverter does not change instantaneously and the inverter will face higher impedance. Arrow one in figure 1 shows this instantaneous increase in the impedance, which results in a current drop from the inverter. Switching frequency increases rapidly towards the new, higher resonance frequency. With the fast current regulation in the inverter, there is enough time for a controlled change of current towards the new operating point, slightly above the new resonance frequency (see arrow two). When the short circuit disappears, there is an instantaneous decrease in resonance frequency and a corresponding increase in impedance, shown by arrow three, followed by the final adjustment back to the previous steady state operating point. No high and dangerous current occurs either in the inverter or elsewhere in the welder due to the short circuit. When a coil short circuit occurs, the load resonant frequency increases. This causes current zero crossing to happen before inverter voltage switching. This type of switching is termed capacitive switching. Using a MOSFET without a series diode considerably raises the risk of activating the MOSFET’s parasitic bipolar transistor (see figure 2). This will immediately destroy the MOSFET transistor. There are ways to prevent this, but they have drawbacks such as startup problems and difficulties recovering from a short circuit during welding. 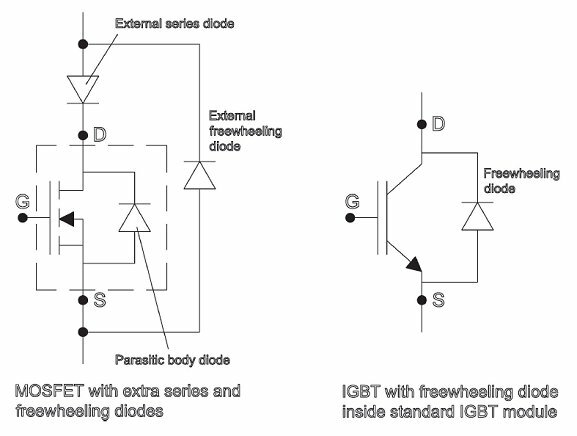 In IGBT transistor modules there are added ultra-fast and softrecovery freewheeling diodes. These make a short across the coil completely harmless for the IGBT inverter – provided there is a function to limit how long the arc is allowed to burn. Short circuits in the load in tube and pipe welding are in this context very short. In fact, due to EFD Induction’s fast regulation of frequency and current, IGBT transistors even survive long-duration short circuits. A video demonstration of this can be seen on the EFD Induction website. Almost all manufacturers of welding machines today use the principle of a modularised inverter. In order to get the required output power, several inverters are stacked to operate in parallel. Several inverters connected in parallel on both the DC and output sides require stringent control of the turn-on and turn-off of the transistors. The timing in the driver technology is critical, especially in the case of inverters using MOSFET transistors. This is because parameter spreading in MOSFETs is relatively large, which causes variations in the transistors’ turn-off instants among paralleled devices. The slowest transistor to turn off is likely to be destroyed, due to unevenly distributed power loss among the devices. This is the main reason why replacement MOSFETs must be carefully selected prior to installation. It is also the reason why replacement inverter modules for certain MOSFET welders must first be tuned to a specific location in the inverter stack. IGBT transistors, however, can be used off the shelf. There is no time-consuming measuring and pre-selection. This is due to the extremely well proven production process of the non-punch through (NPT) IGBT chips. The production process gives a very tight spread in parameters (such as time delay on/off and gate threshold voltage) compared to epitaxial grown MOSFET transistors. In the EFD Induction welder there are no restrictions on module positioning in the inverter. Position does not affect current distribution among modules, as the overall circuit design guarantees 100% equal current sharing between all inverter modules (as is shown in Figures 3 and 4). There is no need to select driver boards based on time-delay differences. Figure 3 shows the current from two inverter modules, one positioned at the top of the inverter, the other at the bottom. It is difficult to see that these are the current signals from two inverter modules, since they are in fact 100% identical. Figure 4 is therefore the same as Figure 3, but with channel two shifted down one division to show that there are two measured currents. With 100% equal current in all inverter modules – together with the homogeneity of the transistor modules – power loss among inverter modules and operational temperatures of the IGBT transistors are extremely consistent and controlled. Furthermore, at 35°C (95°F) water inlet temperature to the welder, EFD Induction’s design criterion is for a maximum 75°C (167°F) chip temperature inside the IGBT transistor module. The rated maximum chip temperature of the transistor module is 150°C (302°F). The benefit of this system is that both module and system reliability are maintained at the highest level. Until EFD Induction introduced its patented switching technique for IGBT transistors, the generally accepted highest frequency range for IGBTs was 125-150kHz. Above this level switching losses became too high without considerable de-rating of output power, making the component uneconomical. Compared with standard, traditional switching technologies, EFD Induction’s patented section split system makes the maximum effective switching frequency for one IGBT module of a 400kHz system to be one quarter, that is, 100kHz switching for each IGBT module. This makes the driving of the IGBTs much easier compared to a standard de-rating technique (less driver losses at turn-on and turn-off). A weld frequency of 500kHz with IGBT-based inverter modules is now readily available. The major benefit is the high increase in efficiency compared with a traditional de-rating technique. Based on the same loss level, EFD Induction’s section split system gets 2.5–3 times as much power out of the same IGBT chip area compared to less sophisticated methods. The overall benefit for tube and pipe manufacturers is efficient power transfer at high frequencies with the IGBT transistor’s extremely high reliability. A specific weld process – with a specific frequency, coil current, output power and coil – results in a coil voltage that is independent of the brand of welder used. The laws of physics dictate that low internal inductance results in low total voltage. Any added adjustable series inductance (such as for power matching or frequency adjustment) adds extra voltage. As a result, the compensating capacitor voltage installed inside the unit must be higher. The EFD Induction welder is designed with low, and no extra, internal inductance in order to secure low voltage operation. High-power output compensation capacitors are a vital part of a welder. Commercially available capacitor types tend to have either too high internal inductance or a mechanical design which do not take into account the thermal expansion of the capacitor elements during operation. EFD Induction-made capacitors are low-inductance, high-current modules, and are specifically designed for high-frequency welding applications. To ensure long lifetime, two main design criteria are a maximum hot spot temperature of 70°C (158°F) at maximum reactive power, and an allowance for thermal expansion of the capacitor elements. The design is well proven and has been improved and refined over the past 20 years. The numerous internal capacitor elements are double-sided watercooled in order to secure high current and high reactive power operation. Flow switches monitor the water flow, and each capacitor module has a dedicated thermostat for additional protection. Some welders with a parallel resonant output circuit use variable series inductance as a way of obtaining some matching capabilities. The major disadvantage of this solution is the number of moving electromechanical parts in the output circuit, which are prone to wear and jamming. Should relays and electrical motors be used for controlling, these components are also likely to face fatigue problems. The EFD Induction Weldac has automatic electronic load matching in the inverter which does not require the continuous operation of moving mechanical components. In a welder with no intermediate transformer, the output circuit is not isolated from the mains supply. A mains transformer is then required, either installed outside or inside of the DC power supply cabinet. Where transistors with low-breakdown voltage are used in the inverter, a transformer is also needed to adapt to the factory’s higher mains supply voltage. It is especially critical that welders with power control in the SCR have very precise control and firing of the thyristors in the rectifier. This is to avoid non-symmetric load of the three windings in the mains transformer. Incorrect adjustments and timing differences result in non-symmetric stress, which reduces maintenance intervals and/or lifetimes of mains transformers. The EFD Induction welder includes an intermediate, low-loss transformer for both load matching and galvanic separation purposes. A mains transformer to insulate the output circuit from the mains is not required. Because of power control in the inverter, the EFD Induction welder uses a passive diode rectifier. This does not cause any non-symmetric load or stress on any mains transformer in the tube manufacturer’s factory power supply grid, further enhancing uptime. The output compensating capacitors in the output circuit are on the secondary side of the intermediate transformer. Due to this, no reactive power transfer takes place in the transformer and a low voltage operation is secured. The windings and core are moulded in a resin without any oil content. The EFD Induction welder is designed to operate at ambient temperatures of 5° to 50°C (41° to 122°F). All power components inside the cabinet(s) are water cooled. The water-cooling circuits are designed for a water inlet temperature of 35°C (95°F), and flow is monitored by flow switches. Several components are additionally protected by thermostats. Furthermore, a water/air cooler is installed inside the cabinet(s) to keep inside ambient temperature within the range for all components, including the electronics. The cooling water temperature is controlled by the water/water-cooling system to keep the water temperature inside the cabinet above the dew point. Where necessary, an air conditioning unit is included for extra safe operation. No parts of the welder need a dedicated chilled room when operating in high ambient temperatures. The welder should feature readily available components (such as ‘off-the-shelf’ IGBTs). The Weldac is based on a voltage-fed inverter and a series resonant output circuit, and easily handles short circuits. No large currents or overvoltages occur during short circuits. This type of welder operates safely and reliably over a very wide frequency range. The IGBT is a widely available and standard industrial transistor. Unlike MOSFET welders, there is no need to carefully select and tune transistors and inverter modules. The overall benefit for a tube and pipe manufacturer is efficient power transfer at high frequencies (70-500kHz) with IGBT transistors’ extremely high reliability. One consequence of this rugged design is that EFD Induction is the only tube and pipe welder manufacturer to offer a five-year warranty for the system’s inverter modules and driver cards. N Mohan, WP Robbins, TM Undeland, (1989) Power Electronics: Converters, Applications and Design, John Wiley. F Kleveland, JK Langelid, L Markegård, (2003) “New HF Converter for Induction Heating”, Proceedings of the International Conference on Electromagnetic Processing of Materials, Paris.